Carpooling has been gaining popularity and a choice of many since many years. It has been the desired mode of transportation, particularly organisations, as a solution to traffic congestion and pollution. It saves time and parking expenses. However, the new and innovative modes of transportation including ridesharing have reduced the momentum of carpooling recently. Carpooling has lost its momentum due to the fact that ridesharing offers a more flexible service to the commuters. Carpooling doesn’t offer you much freedom in scheduling your activities as you like. It does not work for those who want to work late or leave early, whereas ridesharing is an on-demand service that gets you a ride anytime. Using a smartphone and booking via an app, the service is at your doorstep when required. Ridesharing services fulfill all the transportation needs of commuters as a more convenient and cost-effective means of travel. Ridesharing helps ensure that there are less cars on the road, less carbon emission and reduced maintenance costs. To make it more pocket friendly, riders can share their ride by picking other people on the way and split the ride fare among them. Compared to traditional taxi services, the ridesharing companies such as Uber and Lyft offer much lower fares, affordable to the common people. Furthermore, riders get promotional discounts to make rides more worthwhile and economical. While carpooling only benefits the commuters, ridesharing acts as a source of extra income for drivers too. Ridesharing endows benefits for riders and drivers alike. They can accept unlimited ride requests flexibly when they are available to do so and choosing when they want to work. 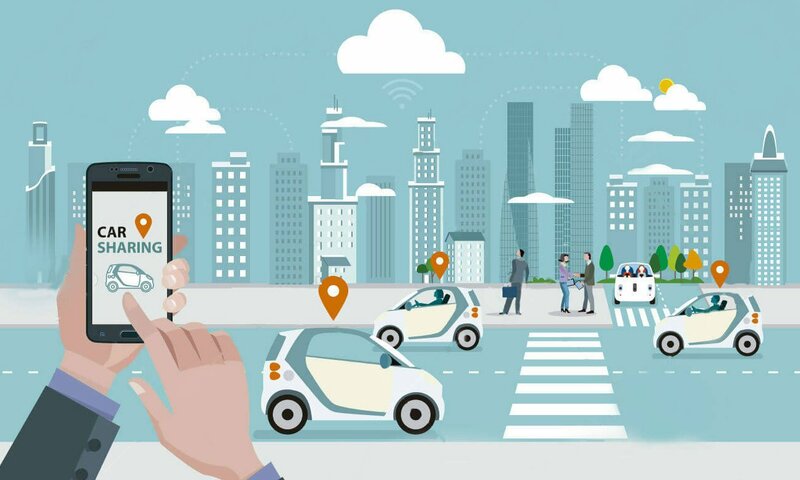 As more and more people begin to opt ridesharing services, traffic that is increasing unimaginably day by day can be controlled to a maximum extent. It is an alternative to the tiresome traditional taxi hiring process which people had been ardently waiting for. There are thus various sound reasons why ridesharing is a better choice than carpooling in specific scenarios. The trend that prefers ridesharing is expected to continue at a faster pace with more benefits.